The Offroad Manufaktur Hamburg is a great place if you need any kind of help with your 4x4 in the northern part of Germany. With the workshop, about ten years ago Micha and Florian fulfilled their boyhood dreams and simply do a great job: In a relaxed atmosphere, they try to find out your personal needs and thoroughly plan toghether with you, backed up by a lot of advice and personal overlanding experiences. They do a lot of work on Land Rovers and Land Cruisers but are by no means limited to these brands. 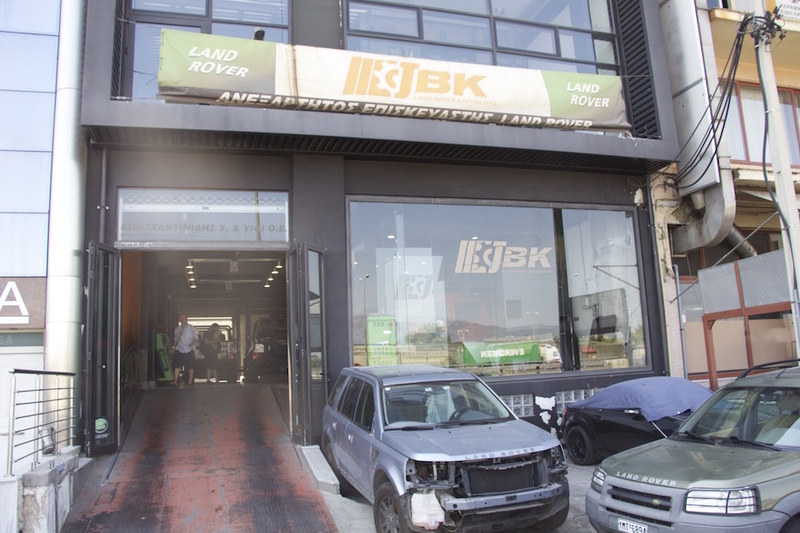 JBK Land Rover Specialists situated in Athens is the Land Rover workshop which is considered to be the best one in Greece. The two brothers, Vassilis and Yiannis Konstantinidis ("Bill" and "John"), are what I would call "Land Rover Horse Whisperers" and can help with almost anything. The place is constantly full like a stuffed turkey with different Land Rovers, so it is really important to check in advance. If there, ask for a show around the "secret vault" where they build their "dream projects". L R Parts (16 Faraday Street Ausspannplatz Box 5292, Windhoek, phone: 00264 (0)61 23 3274, fax: 23 1797, mail: sales@lrpartsnam.com) is where you get almost all necessary parts for Land Rovers (and Landcruisers), old and new. If they don't have the part you need, they can order everything in England (which might take up to 6 weeks in the worst case). Propshaft Engineering (41 Parsons Street Southern Ind. Box 80270 Olympia, Windhoek, phone: 00264 (0)61 23 7349, fax: 23 7312, mail: pshaft@iway.na) is a very good place in Windhoek, Namibia, if you have any problems with your propshaft. Before buying a new one, have the old propshaft fixed here (if that is possible). 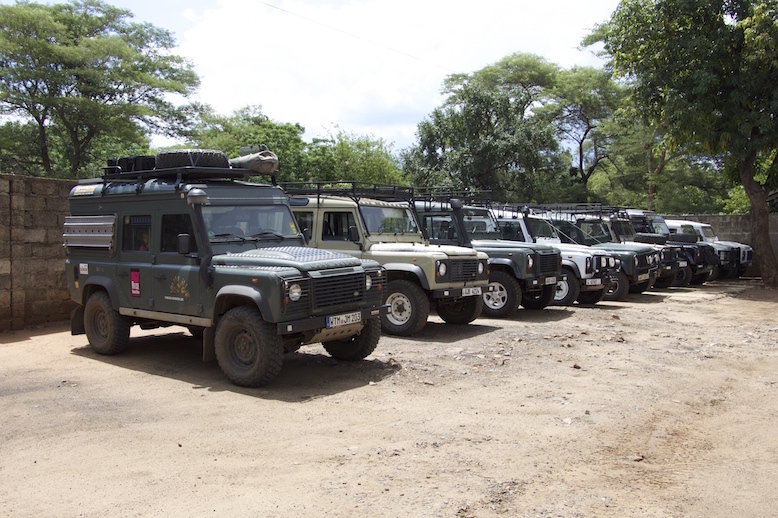 CMC Automobiles Ltd. is the major official Land Rover dealer in Tanzania with workshops in several Tanzanian cities. We got a great service in Arusha when we had too much water in our diesel. 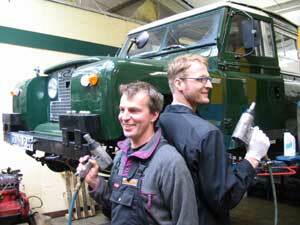 The mechanics are well trained and the workshop is fully equipped. Ask for Ian Boyd, the manager, just in case you feel that you need his expertise. 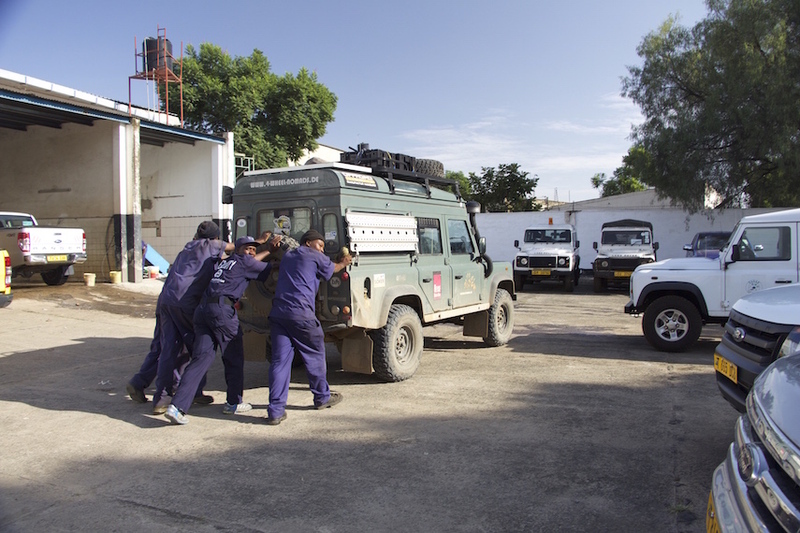 From locals we heard that they sometimes drive hundreds of kilometers just to have their Land Rover serviced in Dar es Salaam where the company's headquarters are. Sameer Parts Limited (P.O. Box 647 Arusha Tanzania, phone: +255272506621 or +255272507647 or +255754482625, mail: sameer@sameer.co.tz) is based in Arusha and sells quality car parts, being in many leading brands, such as Land Rover, Scania, Toyota and many more. Their prices are really reasonable and they have a lot in stock. Foley's Africa (Livingstone, Zambia, phone: 00 260 213 320888, mail: info@folyesafrica.com) from our perspective is the best Land Rover place in Africa. We have never before experienced (apart from our home workshop in Hamburg, Germany) such a good service, thorough craftsmanship and honesty. We can only highly recommend them. Again, these guys are "Land Rover Horsewhisperers"!